Daniel Ellsberg on the importance of leaking and how so few people do, even when they should, from a moral or legal standpoint. Whether bound by contract, oath, fear, loyalty, kinship or simply the herding instinct – the tendency to conceal the truth about injustice, war crimes and corruption is an unfortunately pervasive human trait. 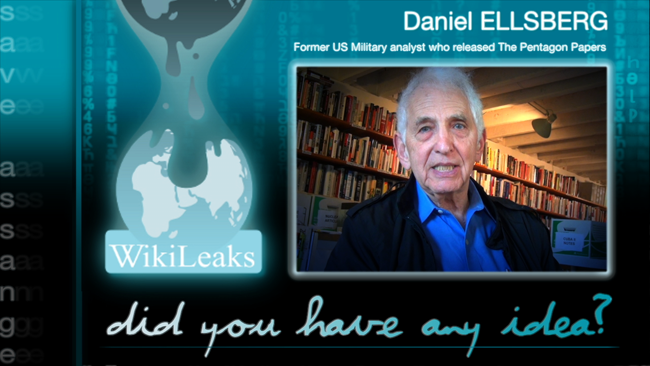 This entry was posted in EDITORIAL, LIVING PROOF, NEWS and tagged #DYHAI, Daniel Ellsberg, Julian Assange, Wikileaks. Bookmark the permalink.